Everyone has those projects that they plan on doing as soon as they retire. Well, I’ve got a project on my retirement list as well. 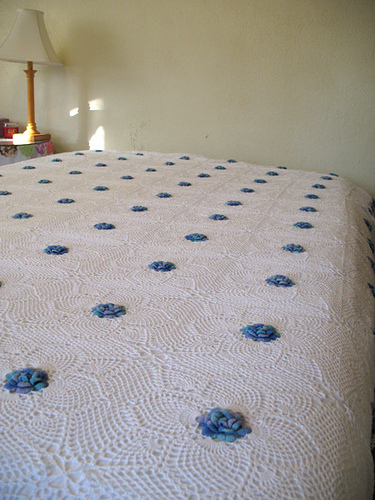 When the kids are grown and I retire from knitting, I plan to take on the challenge of knitting a bedspread. That may sound odd, but it seems to me that in order to make a bedspread, one must no longer have plans of knitting anything else for the remainder of their life. (They must also be without any form of stash as not to distract them from the task at hand). 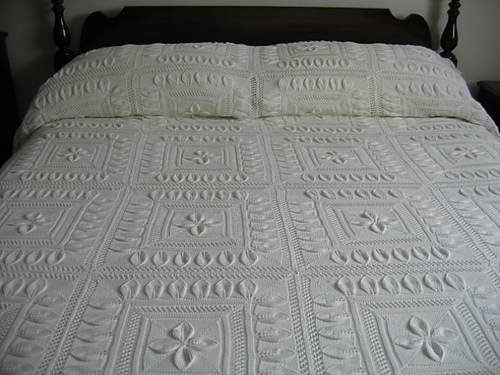 I look at lacy knitted and crochet bedspreads and my jaw just drops at the time and skill it took to create them. 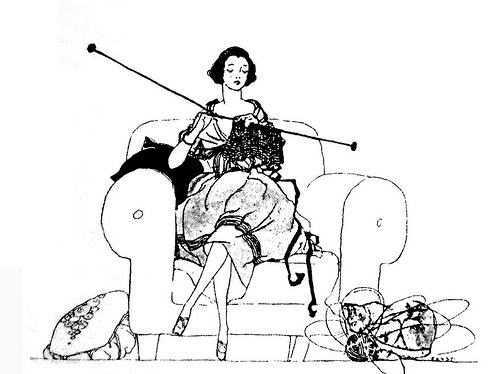 Have you ever even tried to knit with bedspread weight cotton? Working with it should be an Olympic sport! So, until that day when I retire, I’ll just enjoy the work of others and stand in awe of those with the time- and sanity- to create these beautiful pieces.